HARNESSING THE FULL POTENTIAL OF LED TECHNOLOGY. 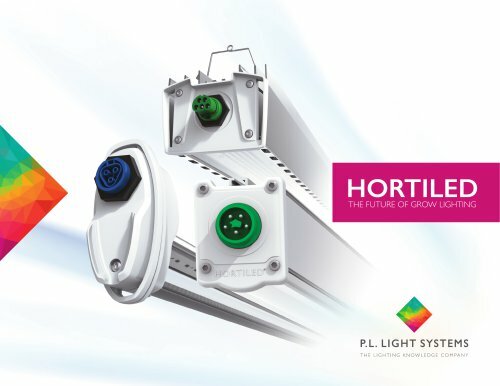 With the introduction of PL Light Systems’ HortiLED products, growers no longer have to compromise on lighting quality. They can achieve the same lighting performance as traditional sources–with all the benefits of LEDs. The LED optics have been engineered to deliver unrivalled lighting performance–offering the best possible combination of performance and efficacy. Robustly constructed from aluminum and only the highest quality LEDs, the HortiLED products offer the industry-leading quality you’ve come to expect from PL Light Systems.